The first Australian Fashion Report was launched this week by Baptist World Aid in order to assess the practices of 40 companies owning 128 clothing brands in regards to child labor, forced labor, working standards, and fair wages. The report gives overall grades for each company based on whether the brand guarantees a living salary, and if they have committed to boycotting Uzbekistani cotton, an industry known to force tens of thousands of children into forced labor. The current addiction to “fast-fashion” and low retail prices has put enormous pressure on the garment industries in developing nations. Bangladesh has seen massive problems not only in the area of human rights violations, but in pollution and environmental degradation. 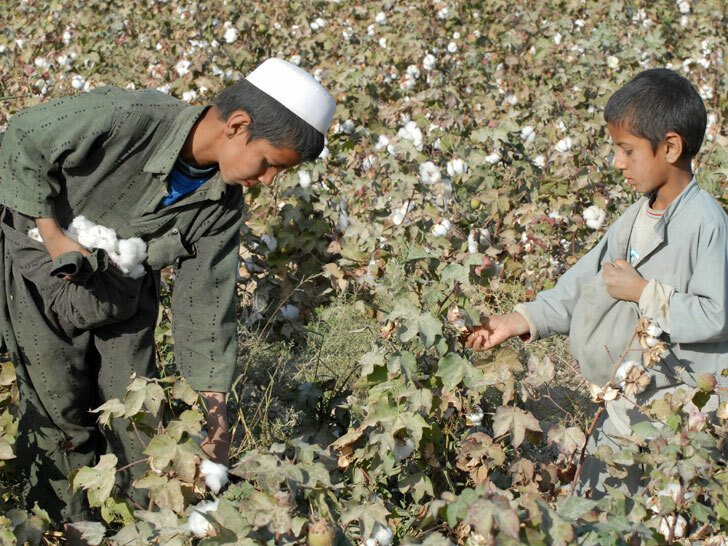 According to the report, businesses in Uzbekistan, which is the world’s fourth largest producer of cotton, have taken children as young as 10 from their homes to work 70 hour weeks picking in the fields. Out of a list that contains Pakistan, the US, China, Brazil, and Uzbekistan, only Australia stands as one of the world’s major cotton producers not to use child labor. Of the 40 companies investigated, Rivers and The Specialty Group were slammed for their poor safety measures after the Rana Plaza factory collapse that killed thousands of workers in April of this year. Many brands operating in Bangladesh source much of their cotton from Uzbekistan, including Quicksilver, Lululemon, Rivers, Woolworths, and Coles. “One of the most troubling facts revealed by the research was that few companies actually knew all the suppliers responsible for producing the clothes they sold. While 39% of companies knew all, or almost all, of the suppliers involved at the factory level, that number dropped dramatically to 7% at the raw materials stage of production. If companies don’t know, or don’t care, who is producing their clothes, it’s much harder to know whether workers are exploited or even enslaved” says Gershon Nimbalker, Advocacy Manager at Baptist World Aid. As the fashion world becomes more savvy to the ins and outs of supply chains, large companies risk losing customers over ethical and environmental violations. By reducing consumption and making informed choice with the help such papers as the Australian Fashion Report, consumers can begin to use their purchasing power to influence how their garments are produced.